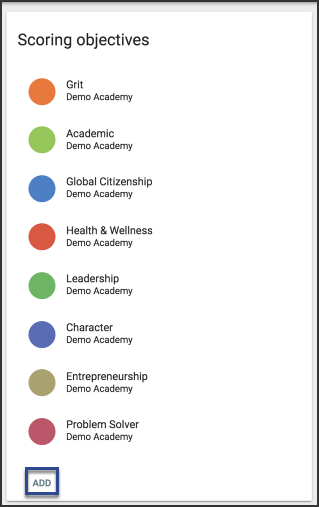 The Multi-Outcome Scoring gradebook allows course authors to create multiple desired outcomes for students, align them to activities with varied weights, and track performance against them. 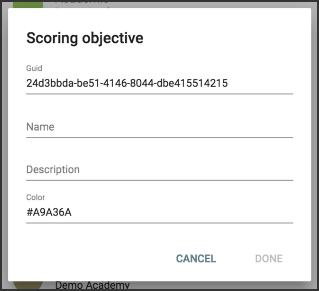 Click Add on the Scoring objectives card. 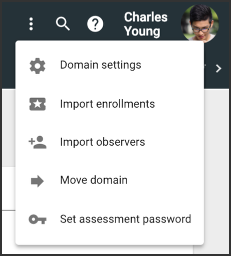 You can click on existing scoring objectives to edit them. 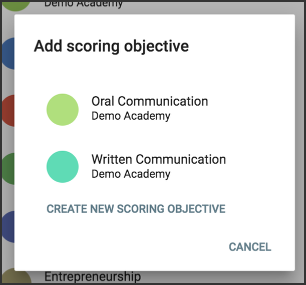 You can select an existing but disabled scoring objectives to add them to the course, or click Create new scoring objective to create a new one.